The new era in WWE has begun. I can't say I'm not surprised that this new era is really underway. Usually, WWE messes up everything and doesn't give the fans things that they want or anything fresh and new. Until now. While this might not last very long, it looks like the last couple of years of suffering for fans who had wrestlers they didn't like forced down their throat might be over. At least for the time being. With the draft being something I was truly skeptical of, one had to wonder what could occur after the solid Battleground on the first editions of the new Raw and Smackdown. As the 8 PM hour approached this past Monday, I was worried that we would be treated to more of the same. As Stephanie McMahon and Mick Foley stood in the ring and addressed the Raw roster, they announced a new championship title and that Seth Rollins would be involved in a match at Summerslam to determine the new champion for RAW. The name of this title? The WWE Universal Championship. Did I like the name? No. Not at all. However, we knew this was coming. Ambrose won the right to have the WWE World Heavyweight Championship on Smackdown, so Raw had to do what they had to do as expected. 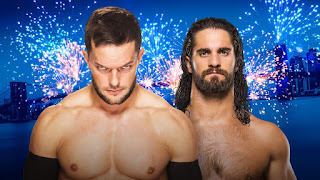 With the secondary world title announced, they made some big announcements to determine who would be the other participant in the Summerslam title match. Two Fatal Four Way Matches. The winners of both would face each other In the main event to determine who would go to Summerslam. Who were included in these matches? Roman Reigns, Sheamus, Sami Zayn, and Chris Jericho in one. Cesaro, Kevin Owens, Rusev, and the debuting Finn Balor in the other. What stuck out the most to me was that Finn got a huge reaction and he carried the superstar aura with him as he stepped up when his name was called. As the night progressed, we also learned that Sasha Banks would get her shot at the Women's Title against Charlotte. The usual skepticism came from me. I figured Reigns would win the Fatal Four Way and the main event to go to Summerslam and that Charlotte would end up retaining or getting disqualified to set up a Summerslam match between her and Sasha again. Once again, I was wrong. And I'm glad I was wrong. After Finn won the opening match to earn his shot in the main event, of course Reigns won his match and it seemed like the usual was going to happen. 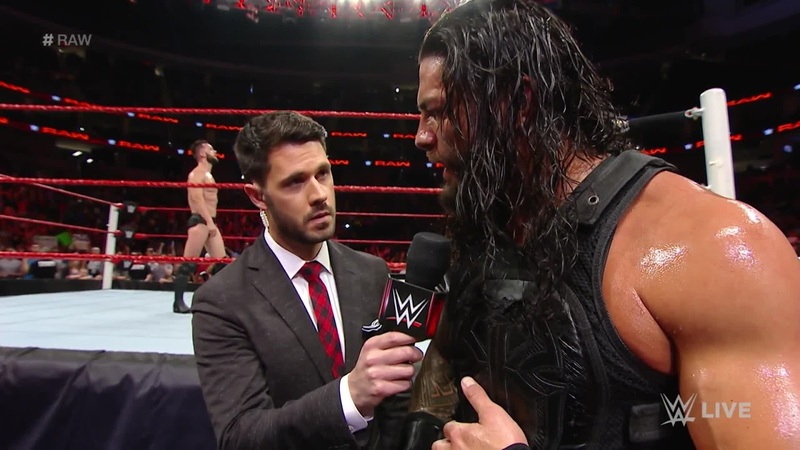 Reigns vs Rollins yet again, and for some reason it had lost its luster. Just months prior, we were seemingly excited at the idea of Reigns vs Rollins, but so much had changed. We saw how good Ambrose can be if booked right, how much better Seth is than Roman, and that Reigns is just not working. Thus, with the prospect of Finn Balor vs Seth Rollins at Summerslam coming up, we got beyond excited to see if Finn could pull it off. The main event was set for the night. 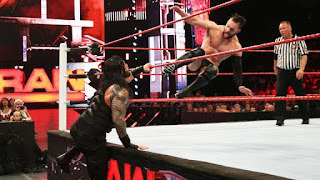 Roman Reigns vs Finn Balor. However, before we would get to that, we'd witness the crowning of a new Women's Champion, as Sasha Banks finally culminated her journey on the new era of RAW, with a surprising victory over Charlotte in a great match. Sasha represents the future of women's wrestling and if she gets the ball to run with, she could become one of the greatest women wrestlers of all time. As Charlotte and Sasha went back and forth in their match, watching Sasha lock in the Bank Statement and get a victory was a big moment. I was extremely excited for her and for one of the first times in my life, I marked out for a Women's match and finish. It was beautifully executed. Sasha marks a new change in the women's division and I'm hopeful that she has a lengthy reign and fights Bayley at Wrestlemania 33 in a classic. However, as RAW came to an end, we had a huge moment and upset, as Finn Balor beat Roman Reigns CLEAN in the middle of the ring to get the right to face Seth Rollins for the new WWE Universal Championship. It was a monumental moment for WWE and RAW and of course Finn Balor, but also for the fans. It represented a new time, where the predictable isn't the norm, and the new stars get a fair shot. It was an amazing end to an amazing RAW, and it set the tone going forward with a Cruiserweight Division also coming soon. 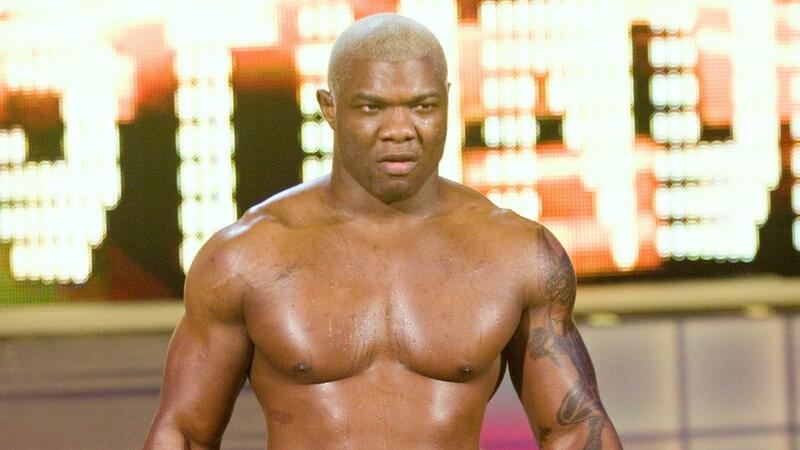 RAW is stacked now, and have such a great talent depth. What about Smackdown? 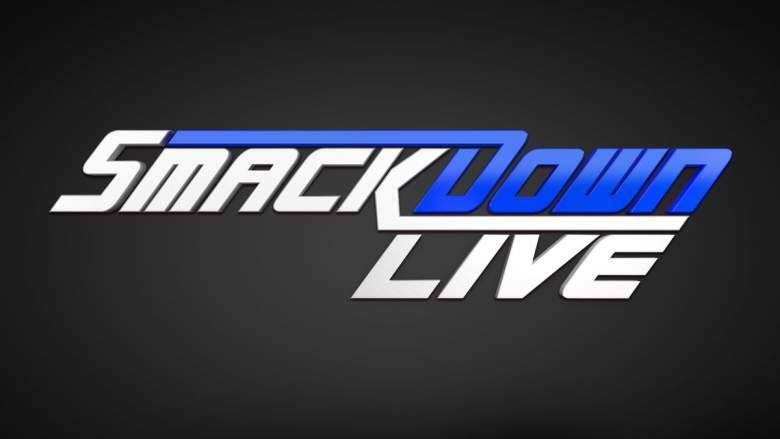 Smackdown got the short end of the stick and that was never more evident than seeing what occurred in the first episode of the new era. Daniel Bryan is still one of the most over guys and of course Dean Ambrose is the champion and one of the top guys in popularity, but Smackdown is still very much the B show. AJ Styles and John Cena will likely finish up their feud at Summerslam in what should be a great contest, but something just feels flat about this new Era of Smackdown. For example, how in the hell does RAW have new debuts and reintroductions of returning stars, but American Alpha can't even debut on the first episode of the new era? That was a terrible call. However, all hope isn't lost. American Alpha debuts next week, John Cena is there but not the main focus of the show, Randy Orton will be freed up once this one-off Brock feud is over, AJ Styles will likely be facing Dean Ambrose for the WWE Title in the Fall, Bray Wyatt has a chance to rise again, and we also have the returning Shelton Benjamin and Rhyno on the Smackdown rosters. If what is rumored is any indication, MVP could be returning to WWE (he denied it, but who knows), and we may see a return of some others who were popular also. Truthfully, this will likely end up in some more NXT call ups and new debuts from the CWC for both brands after the Summerslam weekend to be quite honest. The rosters will flesh out much more, and with the Cruiserweight Division coming to RAW, Smackdown will likely have something new as well to counter it. We could see a returning Kurt Angle, Nakamura could come to Smackdown (which I'd say is the smartest decision in the Fall) or Samoa Joe on Smackdown to balance the show rosters. While RAW looks to be better now, let's revisit this a few months when perhaps Nakamura or Samoa Joe, Kurt Angle, MVP, Shelton Benjamin, and maybe another veteran or two are side by side on the roster with AJ, Cena, Orton, Bray, Ziggler, and Ambrose. Give Apollo Crews a bit of a push, and let him be more of himself rather than paint him as just a black dude who is happy to be there. The keys to this new era are just to keep the booking and the rosters balanced. 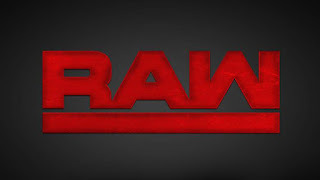 Right now, RAW is easily looking to be in better shape, but if Smackdown can get things rolling and on the right track with things that will get people interested? It'll be neck and neck. I'd say that once we get AJ vs Ambrose for the title after Ziggler loses in a potential classic at Summerslam, we'll see the Smackdown pace pick up. The existing future stars and present main event type talent are mostly on RAW, but the misused and underused talents are all over Smackdown with a bunch of new guys. The concept for Smackdown is to be an underdog and to promote the underdogs. Bray is an underdog. Ambrose was an underdog. Apollo Crews and Ziggler are also. The mission of Smackdown is to be the underdog in the fight and surprise the world. When there's a Smackdown PPV card that has Ambrose vs Styles, Apollo Crews vs Shelton Benjamin, Orton vs Bray, Rhyno vs Cena (just a thought), and American Alpha in tag team action, perhaps things will look up. I see that happening in the next few months, so just stay tuned and have faith. Smackdown will get it right. This new era could be exactly what WWE needs to rejuvenate their fanbase. It could be what we've been asking for. It could be the turning point. The key to this is to keep pushing who the fans enjoy and keep booking everything as best as they can. Sounds simple, but this is a theory that escaped the WWE for many years prior aside from a few instances. Hopefully we keep this going and get more and more entertaining TV from WWE. Cheers to this new era.